No household should be without at least one package of picture hangers. 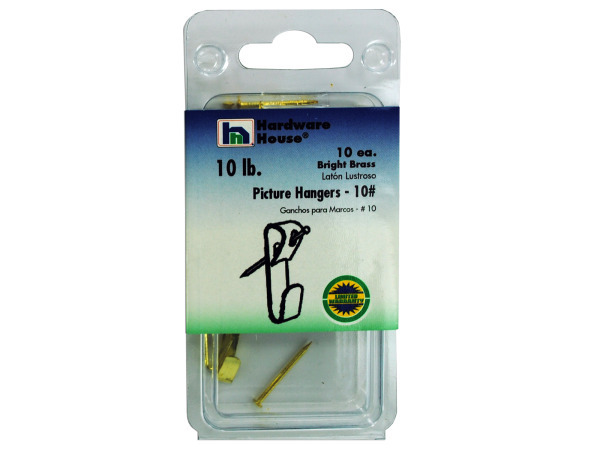 These will hold up to 10 pounds and include both the hanger and nail. 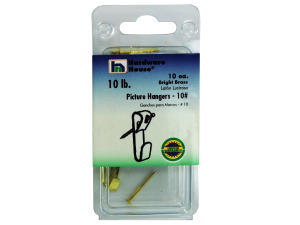 Package includes 10 hangers. 20 pcs. 40 pcs. 60 pcs. 80 pcs. 100 pcs.